Edu left Arsenal in the summer of 2005 a fan favourite, an important member of Arsene Wenger’s squad and with two league titles and three FA Cups to his name. The midfielder arrived, however, as quite a different entity altogether. Rewind to just four years earlier, April of 2001 to be precise, and the Brazilian was making just his second start for the Gunners since arriving from Corinthians that January. The venue was the much-missed, but never forgotten, Highbury, and high-flying Arsenal were taking on lowly Middlesbrough. Inside 34 minutes, Edu had turned the ball into the back of his own net. Now, take a step back again three months earlier, where at Leicester, the very same player was forced off the Filbert Street pitch, and to end his debut prematurely, due to injury, just 15 minutes after initially coming on as a substitute. This same 20-year-old boy had already seen his move to Highbury delayed by six months after he was deported from England due to being in possession of a counterfeit Portuguese passport in July of 2000. To say Edu had a tough start to life at Arsenal, would be something of an understatement. At £6 million, he did not come cheap either, and was very much in danger of becoming Wenger’s first real expensive flop, light years ahead of Gervinho. Edu’s turbulent early days in North London would later be credited to the horrific fact that his sister had been killed in a car crash. To get over, not just that tragedy, but his comical and embarrassing start to his Gunners career, and end up as that player departing for Valencia in 2005 deserves tremendous credit. His battling spirit to overcome adversity, though, was a true reflection of his never-say-die attitude out on the Highbury turf; Edu was always a player you could rely on to give 110% week-in, week-out. Yet that does not mean he was all hard work and no natural talent. No, Edu in full flight was a pleasure to watch: he could move around the pitch gracefully, yet at the same time he had the strength and stature to deal with the tough and demanding, physical nature of the English game – something he certainly lacked when he first touched down in England. His technique was what you would expect from a Brazilian, he made things look easy. His passing was another strength; he could keep the ball ticking over, playing it around neatly and keeping it simple, before pulling out a deadly accurate pass when he had to. All while never allowing his trademark smile to slip. And he appeared to have that knack of, while not scoring often, always seeming to find the back of the net when most of the others in an Arsenal shirt were struggling to do so. Sadly for Edu, he never quite nailed down a regular spot in Wenger’s side. Gilberto Silva’s arrival in the summer of 2002 helped put paid to this, as he would go on to form an immense partnership with Patrick Vieira that would go a long way to inspiring Arsenal’s ‘Invincibles’ season in 2003-04. 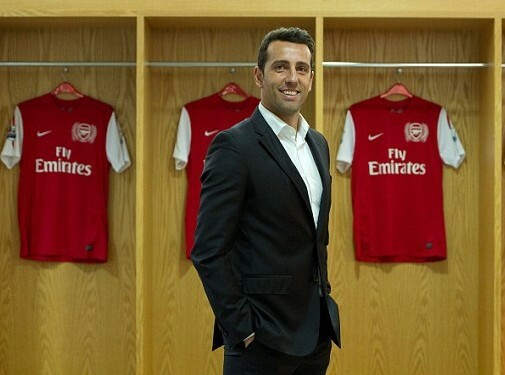 Edu, however, still played an important role in that campaign, and without his presence, the Gunners may not have landed the title in such record-breaking style. Ultimately, though, of his 127 Arsenal appearances, 51 (40%) came from the bench. 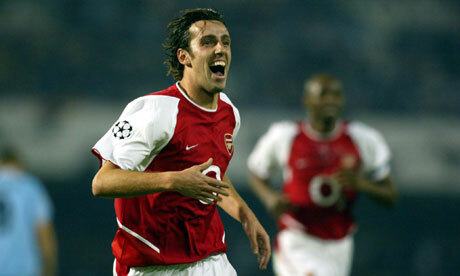 By 2005, with Cesc Fabregas fast emerging as a real talent, Edu had had enough. The sad, and ironic thing, is that even after Vieira had been sold to Juventus that summer, the Brazilian was still determined to leave. His mind had been made up. Wenger would later admit he was wrong to allow both midfielders to depart at the same time. And, although Arsenal got to the Champions League final that following campaign, it was their worst finish in the league since the Frenchman had arrived, narrowly scraping fourth from Tottenham on the final day of the season. Edu’s talent and experience would surely have been a vital asset, and who knows, he may finally have been able to cement his place in the Arsenal team for years to come. This entry was posted in The Samba Series and tagged arsenal, brazilian, edu, edu gaspar, samba series by The Samba Series. Bookmark the permalink.